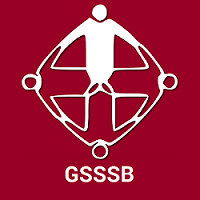 GSSSB Recruitment 2019 – Gujarat Subordinate Services Selection Board (GSSSB) job notifications for 2367 posts of Supervisor Instructors in various disciplines. The detailed eligibility and application process are given below. Educational Qualification: Should have 10th with ITI (NAC/NTC)/ Diploma or Degree in Engineering/ Graduation Degree or equivalent examinations from any recognized Board/ Institution. The selection process will be based on Written Examination and Skill Test. How to apply for GSSSB Recruitment 2019 for Supervisor? All interested and eligible candidates can apply for this position in online latest by 20 April 2019.